While many companies these days may claim to be innovators, true innovation is rare. However, for South Africa’s leading steel processor and supplier, Allied Steelrode, innovation is in the lifeblood of the company and part of their organisational ethos. 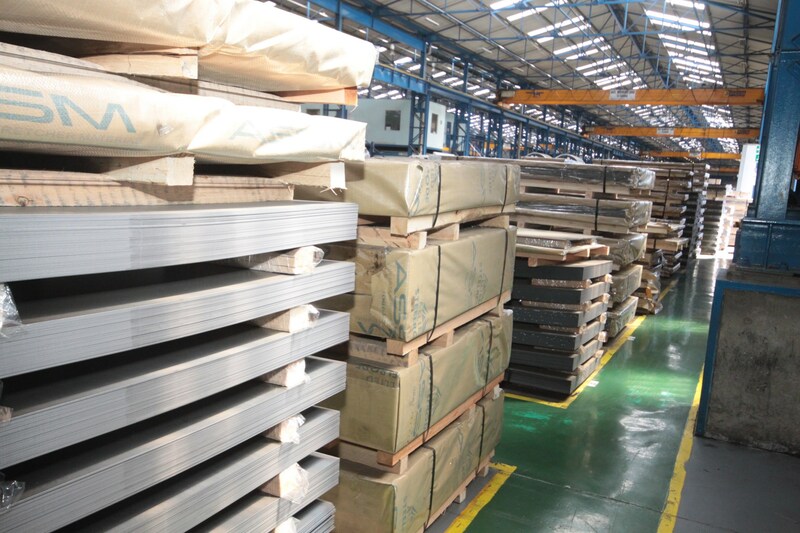 Founded through a merger of Allied Chemical and Steel Pty Ltd and Steelrode Pty six years ago, Allied Steelrode has grown exponentially, supplying high volume merchants and end-users with – amongst other product offerings – bulk coils, slit strip, flat steel, steel pressings, standard sheets, and the entire structural steel portfolio of products. In 2014, Allied Steelrode’s Executive Director Warne Rippon and CEO Arun Chadha recognised the structural, architectural and mechanical advantages inherent in tubular steel. This material is lighter and more cost-effective than conventional ‘I’ beams and, when welded together, offers far greater strength. By cutting specially shaped openings in steel tube, sections can be interlocked and then welded with far greater ease. “For example, we produced the components for a pre-fabricated steel building which had a specialised agricultural application. Once processed by the LT20, the components were taken to site and, with a perfect fit ensured, were rapidly assembled,” explains Rippon. “There are many other companies in agriculture, mining, and construction who could use this service to their advantage,” he emphasises. “The sky really is the limit. Our LT20 Jumbo opens up a completely new range of design possibilities for architects and structural designers. Now – thanks to this technology – many more beautiful and innovative tubular structures can be designed, as the only limitation is the bounds of architects’ own imaginations. As such, we look forward to seeing tubular steel featuring increasingly in our daily lives, such as in the design and construction of shopping malls, airports and sports stadiums,” he enthuses. The application of the LT20 is very diverse. It can process tube for architectural and agricultural applications; and meet the requirements of the heavy transportation, construction, mining, automotive power generation, shipbuilding and petrochemical industries, amongst others. As a long-term investment, and to broaden its offering to the southern African steel construction and manufacturing sectors, Allied Steelrode purchased the BLM Adige LT20 Jumbo tube laser in the fourth quarter of 2015. This revolutionary machine was commissioned at the end of January 2016 and by mid-March 2016 was in production. “Worldwide, tube laser cutting is a comparatively new innovation in the steel processing industry,” explains Rippon. Before tube laser, processing tubular steel involved time-consuming sawing and drilling. Now, with tube laser, it is possible to cut even the most complex geometries in steel tube. The LT20, for example, can process tubes ranging in section from 75mm to 508mm and in lengths of up to 18 metres. “Unlike many other lasers which can only cut up to 8mm wall thicknesses, the LT20 can cut up to 16mm thick tube walls,” adds Chadha. The hugely versatile five axis laser cutting system is ideal for three dimensional parts, bent, hydro-formed or pre-assembled tubes or flat and pressed sheets. In addition, the superior edge quality produced by the LT20 frequently eliminates time-consuming post-processing steps, when compared to conventional processing technologies. As the machine produces a finished component in a single cycle, there are no problems with storing semi-finished work, a factor which streamlines and increases productivity. The LT20 will cut round, square and rectangular section tubes as well as open structural sections whether they are mild steel, high-strength steel, stainless steel, aluminium, alloys, brass or copper. It is possible to economically produce anything from a one-off prototype to a production run of thousands in a fraction of the time that was previously required. The tube laser is fully automated and requires minimal operator intervention. With extended production runs, this guarantees absolute product consistency and faster turnaround times. For example, recently, Allied Steelrode processed the tubular steel sections of a two storey 100-ton parking garage. “We cut the steel preparation time from what would have taken three weeks to a mere eight days,” Chadha explains. An additional motivation for the purchase of the LT20 was that, in 2015, Allied Steelrode won the contract to supply the complex structural steel for the iLanga and Kathu solar power projects in the Northern Cape. Apart from the major investment in the LT20, Allied Steelrode has imported and commissioned South Africa’s only dedicated steel stretcher leveller in a purpose-built factory in Midvaal, with a second more powerful one – suitable for very high-tensile strength steel – already purchased and due to be commissioned in the first quarter of 2018. “Major investments of capital equipment of this nature are very much long-term ‘votes of confidence’ and game-changing value-adds in the partnership which we have with our customers – and the industry as a whole,” explains Rippon. “Early on in our partnership, we understood the need to enhance our customers’ processes. The purchase of the LT20 was yet another significant step along this trajectory,” he concludes. 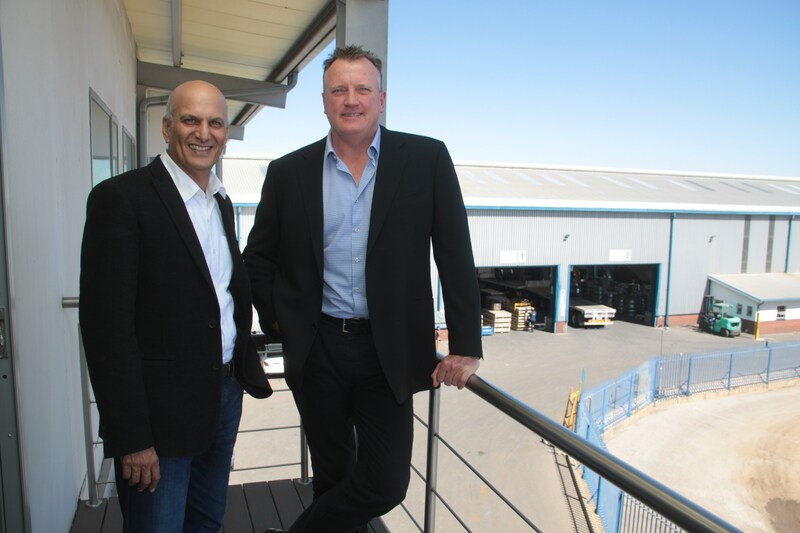 L – R: Arun Chadha, CEO and Warne Rippon, Executive Director of Allied Steelrode. Branded Allied Steelrode Stretcher Material (ASSM), produced by the company at their purpose-built steel-stretching facility in Midvaal, Gauteng.